Living in Brighton, Joe joined Diamonds as an Under 17 player in January 2007 after leaving the Crystal Palace youth set up. His impressive development was rewarded with an appearance for the First Team in their pre season game at Halstead Town prior to the start of the 2008/2009 season, as well as a number of appearances on the Diamonds bench for first-team games later that season, also playing in the Youth Team as a second year scholar as an Under 19, although he was only eligible to play for the Youth Team in the Puma Junior Alliance League and Cup, but not the FA Youth Cup. On 16 September 2008 he made his first team debut when appearing in the Hillier Senior Cup game against Rothwell Town – a game in which he kept a clean sheet. 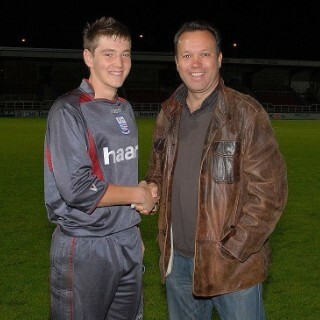 This also made him the 300th player to appear for Rushden & Diamonds in a first team game, and he was pictured with fellow goalkeeper Kevin Shoemake, who was the first player on the first Rushden & Diamonds teamsheet. In the Spring of 2009 he went on a work experience loan to Southern League Premier side Brackley Town, and his performances were rewarded when he was offered a pro deal to keep him at Diamonds once his scholarship was complete. This deal was signed shortly before the start of the 2009/2010 season, along with fellow graduates Jack Higgins and Lewis Hilliard. Joe went out on loan to Harrow Borough at the start of October 2009, initially on a one-month basis. 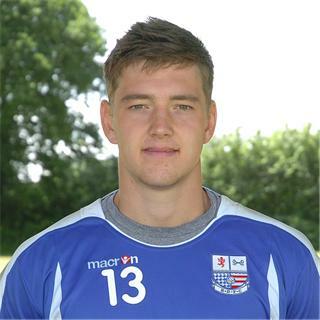 He returned to take a regular place on the Diamonds substitutes bench, and then made his league debut for the Diamonds on 17 April 2010 at Wrexham, keeping a clean sheet in the 1-0 win. The club then took up the option to extend his contract into the 2010/2011 season. 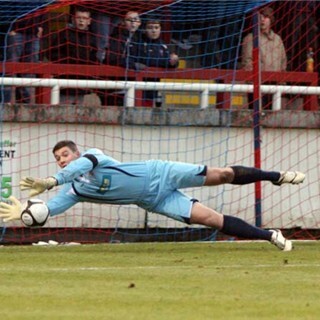 Following an injury to No.1 keeper Dale Roberts while on England duty, Joe took over as the first team keeper in September 2010 and his excellent performances kept him as first choice keeper following Dale’s recovery from injury and he went on to make 36 appearances during the season before his transfer to Peterborough United on 6 April 2011 for an undisclosed fee. On 6 October 2011, Joe initially went on a one month loan deal to Conference side Alfreton Town. This was extended until the end of the year, before being further extended until the end of the season in January 2012. Joe was still unable to get into the first team at Peterborough Utd the following season, and went out on a loan deal again, this time to Conference South side Eastbourne Borough on 19 October 2012, until the end of the year, but was recalled back to Peterborough early on 2 November 2012 after just 3 appearances. On 28 August 2014, Joe joined his former manager Justin Edinburgh at League Two side Newport County on a one month loan deal. The loan was made permanent and he remained with the Welsh club up to and including the start of the 2018-19 season. His wikipedia entry can be found here.